Christopher Reeve was born 25 September 1952 in New York City, New York, United States to Franklin d'Olier Reeve (1928) and Barbara Pitney Lamb (1932) and died 10 October 2004 of cardiac arrest secondary to heart failure. He married Dana Charles Morosini (1961-2006) 11 April 1992 . Notable ancestors include Charlemagne (747-814), Alfred the Great (849-899), Hugh Capet (c940-996), Henry II of England (1133-1189), William I of England (1027-1087). Ancestors are from the United States, the United Kingdom, France, Germany, Russia, Ukraine, Spain, Portugal, England, Belgium, the Netherlands, Scotland, Ireland, Hungary, Denmark, Italy, Turkey, the Byzantine Empire, Sweden, Belarus. 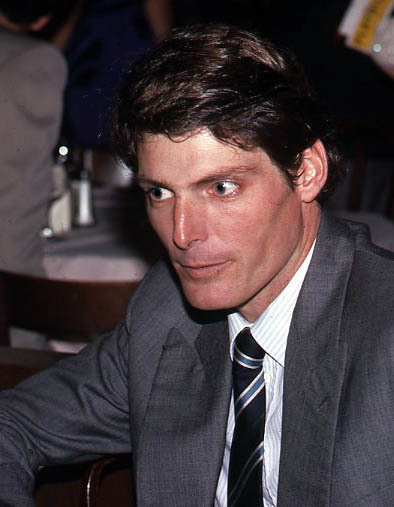 Christopher D'Olier Reeve was an American actor, film director, producer, screenwriter, author, and activist. He achieved stardom for his acting achievements, in particular his motion picture portrayal of the comic book superhero Superman.